Diskospndylitis (discospondylitis, vertebral osteomyelitis), not to be confused with diskospondylosis which is a degeneration of the spinal column from any cause, is usually seen in middle-aged and older dogs and is the most common cause of back pain. 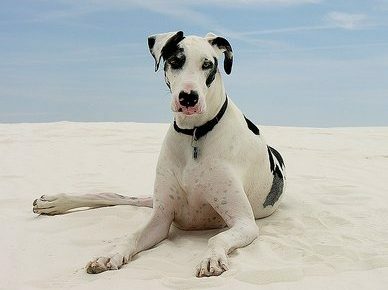 While diskospondylitis (DS) is usually seen in large and giant male dogs, especially German Shepherd Dogs and Great Danes, it can happen with any size or gender of dog. The spine is composed of vertebrae which are small bones beginning at the base of the skull and going all the way to the end of the tail. Cushioning the vertebrae are flexible discs made of cartilage called invertabral discs. They act as shock absorbers and allow the neck, spine and tail to bend when the dog moves. The spinal cord which is made up of nerve fibers, sends messages to and from the brain and the body and sits above the discs and through the vertebrae. DS is caused by a bacterial infection in a disc or discs or sometimes the result of fungus. Infection most often occurs in the lower back. DS is often caused by plant awns which could contain bacteria and fungi. The awns break through the skin entering the bloodstream, spreading infection. Other causes of DS may be endocarditis (a bacterial infection of the heart lining), dental disease, tooth extraction, urinary tract infection, prostate gland infection, brucellosis (a bacterial venereal disease). Sometimes the cause is idiopathic (unknown). Symptoms of DS are back pain, the intensity of which can vary, lameness, stiffness, lack of appetite, weight loss, fever. Dogs with DS are reluctant to run or jump. Hind limbs can become weak with progression of the disease and the dog can experience a lack of coordination. A fistula (duct formed by disease) can but usually rarely appears on the skin above the infection. Diagnosis is made through a battery of tests including blood tests, urinalysis, x-rays and/or CT scan or MRI of the spine, myelography, ultrasound of heart and abdomen, screening for brucellosis, blood andl urine cultures to find the source and type of infection. A spinal tap may be performed to determine if the problem is DS. 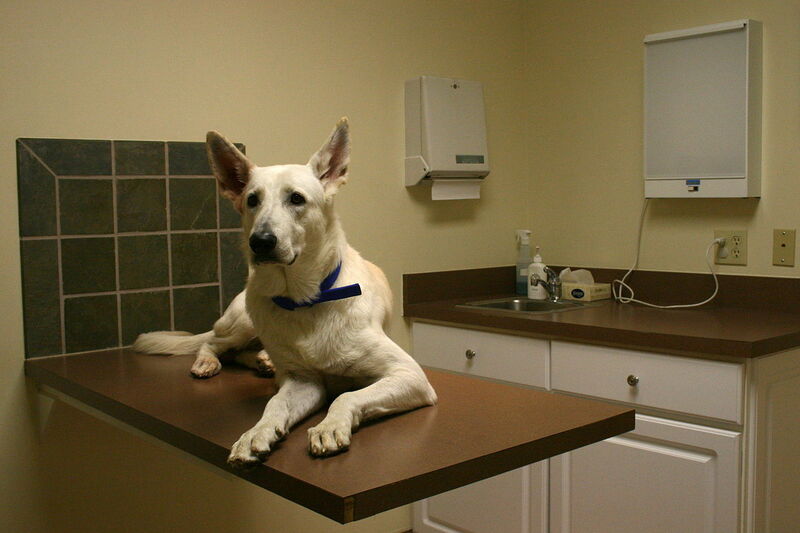 This is an invasive procedure and should be performed by an experienced vet. Treatment depends on the cause of DS, whether bacterial or fungal. Medication may be precribed for as long as 6 months or more as relapses can occur. If necessary, pain medication, IV fluids and monitoring of heart and respiration rates may be added. Surgery may be required to relieve spinal cord compression. Osteoarthritis is often a painful result of diskospondylitis. 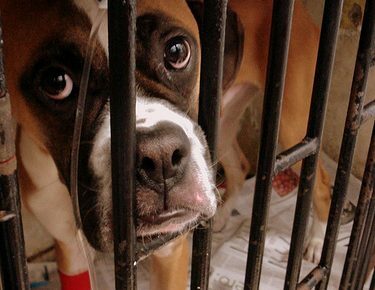 Prognosis for dogs with DS depends on the severity of the infection and nerve damage.